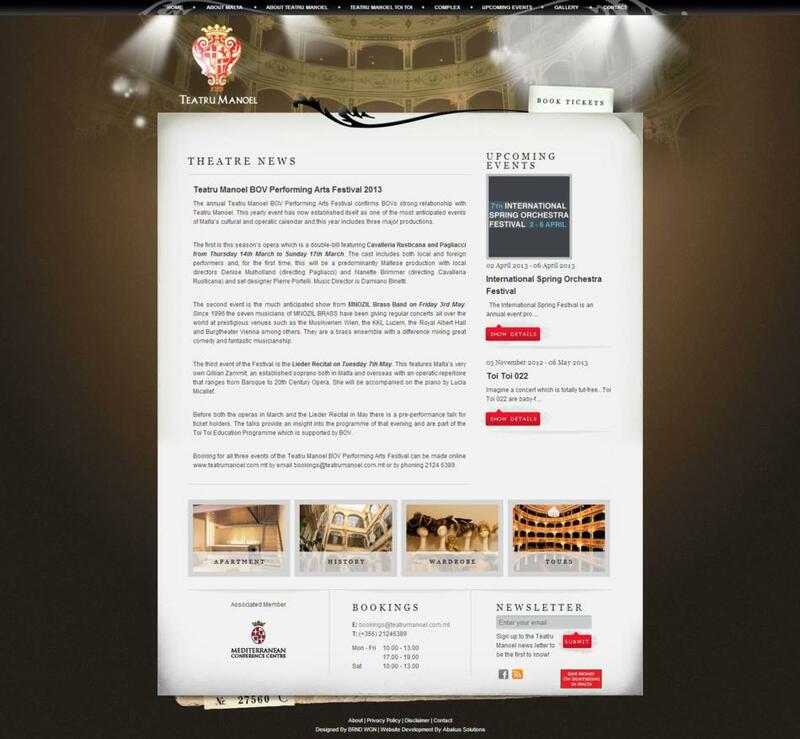 The new website gives information about the theatre’s history and the complex in itself including the Apartments, Sala Isouard, Backstage, the Courtyard, Hire of Costumes & the Guided Tours. Each section has a relevant form for those who would like to contact the person in charge for more information. 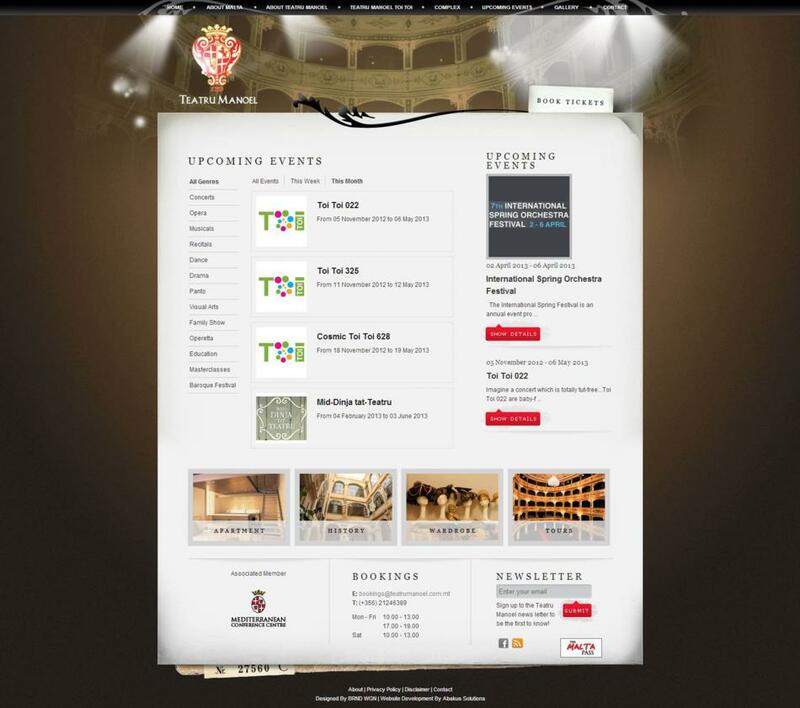 The main element of the website is of course the calendar of events which is driven by the Shows module of the Abakus Web CMS Version 5.0. The calendar allows filtering of events by genre and by week or month. Each event will have a link directly to the section in the booking system about the event in question once the booking is open. 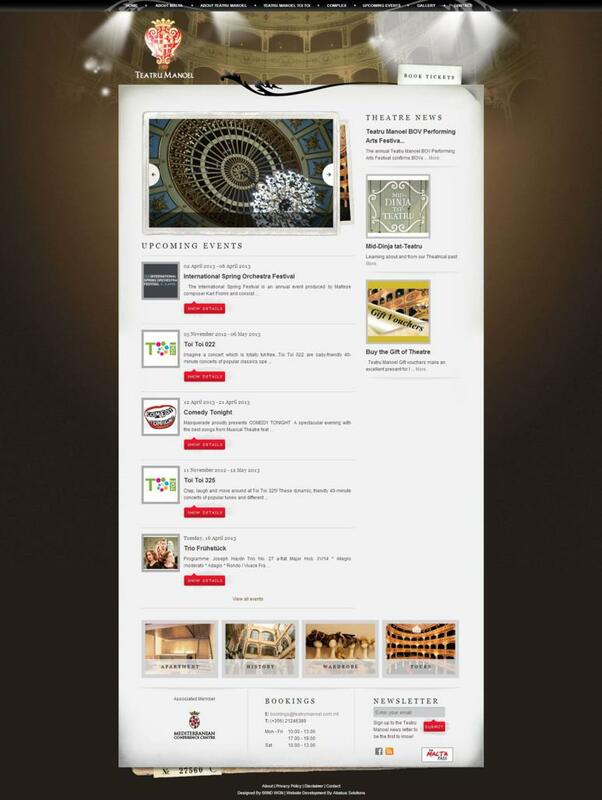 Amongst other features, on the Teatru Manoel website one can find an extensive photo gallery, a newsletter subscription function and a information about ways of how to book your ticket for your event including a link to the booking system.